Ancient Architecture in Spain and Portugal is an amalgamation of influences from a rich mix of cultures that have settled in the Iberian Peninsula over time. The Celts, the Romans, the Visigoths and the Moors all left their mark and their legacy can be felt throughout. With so much incredible spanish and portuguese architecture to experience, we are fortunate to work with specialist guides in architecture as well as architects themselves who are delighted to share their enthusiasm, insight and knowledge. 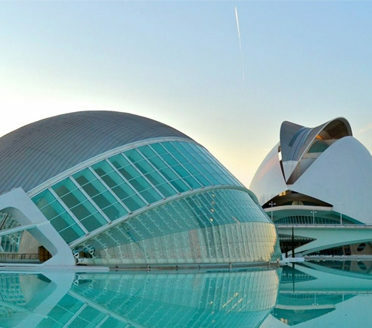 Spain is globally recognized for both its architecture and architects, offering the greatest variety in Europe and has the second highest number of buildings on the UNESCO World Heritage Sites list. 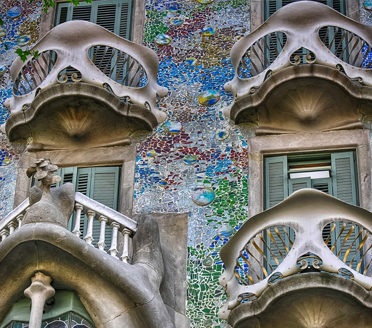 Marvel at the unique Gaudi and modernist architecture in Barcelona in a city that perennially wins international architecture awards. Portugal’s longstanding traditions, geographic isolation, extended period under an authoritarian government, have enabled Portuguese architecture to evolve within local traditions. Much like Gaudi in Barcelona, it’s architecture is very mostly unique to Portugal. Architecture in Lisbon focuses on the Pombaline style that developed after the Great Lisbon earthquake of 1755. But now striking new projects are dotting the Lisbon landscape such as the spectacular riverfront Museum of Art, Architecture and Technology – a must visit. And the works of Pritzker Architecture Prize winner Eduardo Souto de Moura will leave an indelible mark on Portugal and beyond. 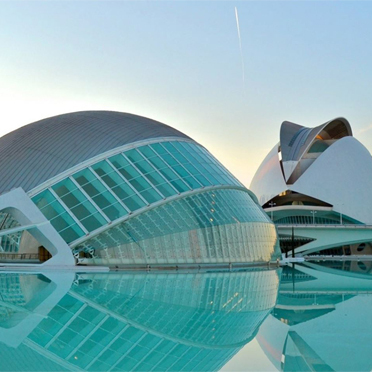 Back in Spain, take in Santiago Calatrava´s iconic City of Arts and Sciences in Valencia. 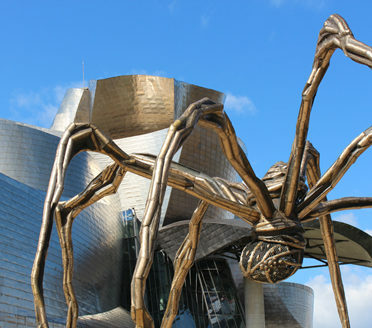 In northern Spain Frank Gehry´s Guggenheim Museum and winery design at the Marques de Riscal in Rioja are must-see sites. 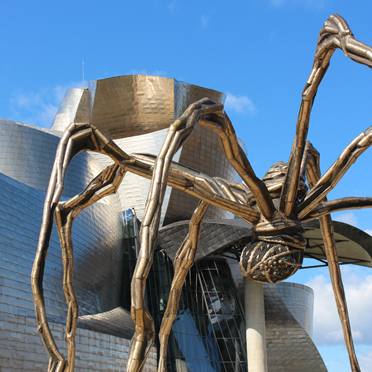 In the north-west, head out of Santiago de Compostela to visit the polemic but fascinating City of Culture. Down south Malaga is emerging splendidly both aesthetically and culturally from major urban regeneration over the last few years – one to watch. The Gaudi tour with our guide was wonderful and very special. He is an excellent guide with a wonderful sense of humor. 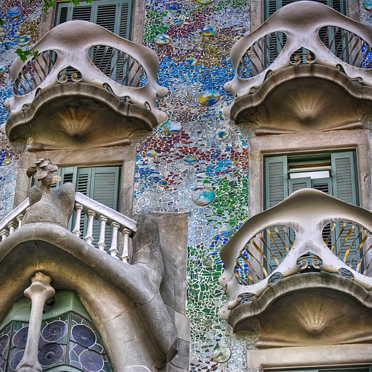 By taking us to 3 completely different Gaudi sites, we gained a much greater understanding of this brilliant architect. Clearly, requiring all the guides to have degrees in history, art, architecture, etc. is a great plus and added enormously to our enjoyment. My love and fascination with Gaudi’s work has been satisfied and the build up to finish in Barcelona has been well worth it.